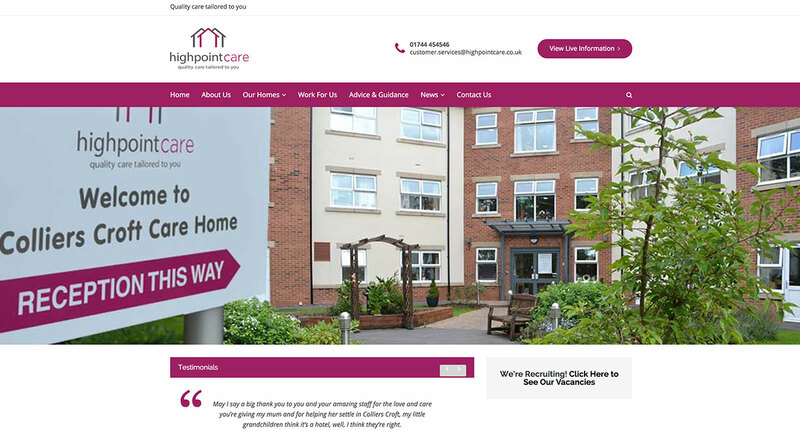 Highpoint Care, ahead of opening their second Carehome, contacted us because they wanted a new website. They were looking for a friendly local agency that could guide them through the process. 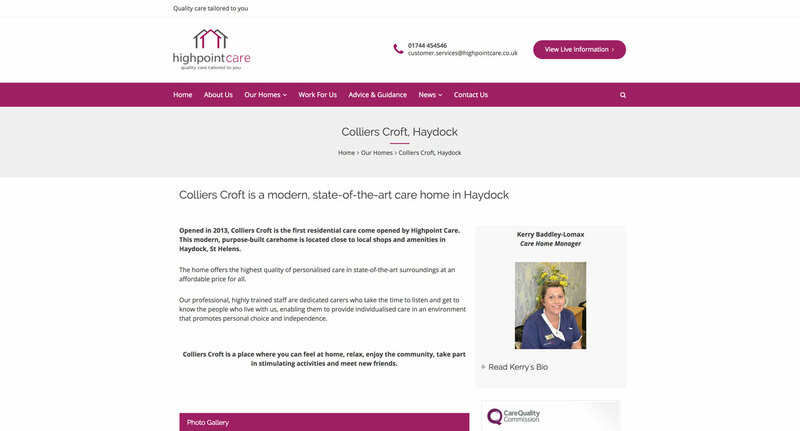 Since creating and launching their new website, we have worked on the production of their new brochure as well as other print works such as leaflets and newspaper advertising.